It’s not a new book, but I’ve just found it on Amazon, it was listed as similar book to the previous encyclopedia,Â Doctor Who Character Encyclopedia by Jason Loborik. You can (should) order it from here. Price: $26.39Â & this item ships forÂ FREE with Super Saver Shipping. 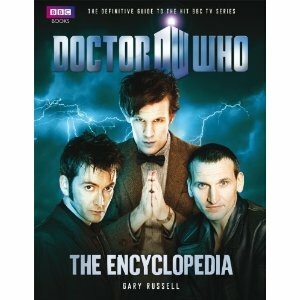 Completely revised and updated, the Doctor Who Encyclopedia is the ultimate fan”s guide to all things Doctor Who. Packed with photos, concept drawings, illustrations and artwork, and including the Christopher Eccleston, David Tennant, and Matt Smith incarnations of the Doctor, learn every fact and discover every figure from every episode.